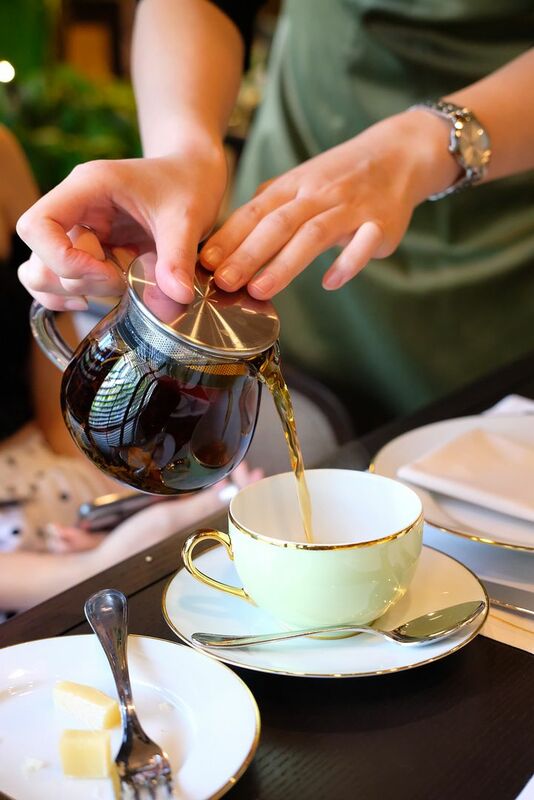 Having tea on a weekday afternoon is not something that we can do very often. 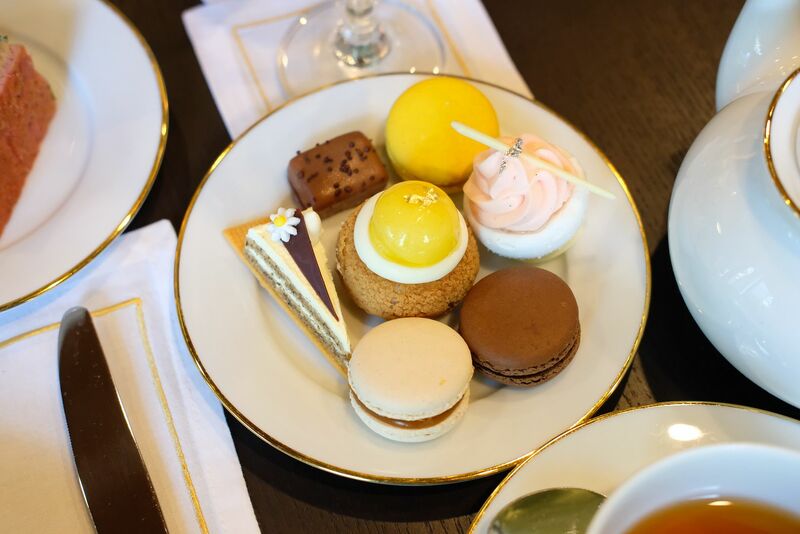 Hence, when we get the chance to kick back and enjoy a luxurious afternoon tea session, we have to make sure that we choose wisely, don't we? 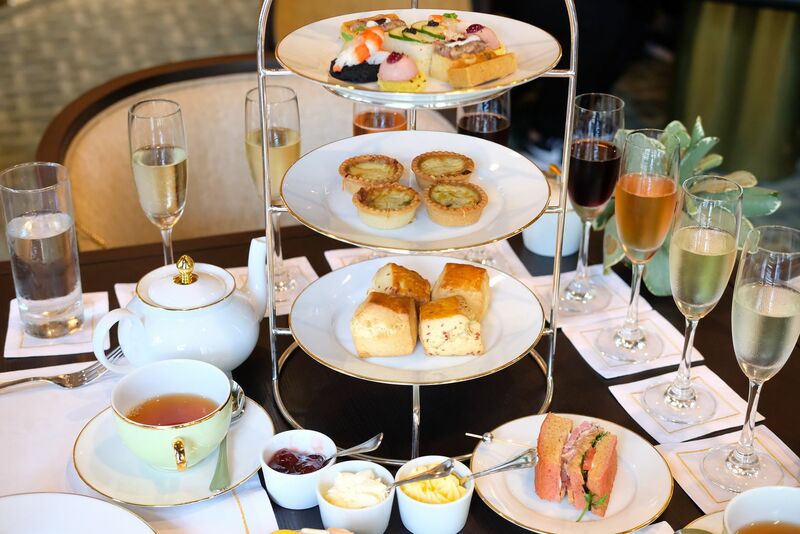 The weekday three-tier afternoon tea at Regent Singapore, which is affordably priced at $45/pax, promises to please your palate and fill you to the brim. The tea starts at 12pm, and runs all the way to 5pm. While I didn't spend the full 5 hours here, those who plan to have a long catch-up session with their beloved girl pals will definitely enjoy their time in the revamped colonial garden setting. 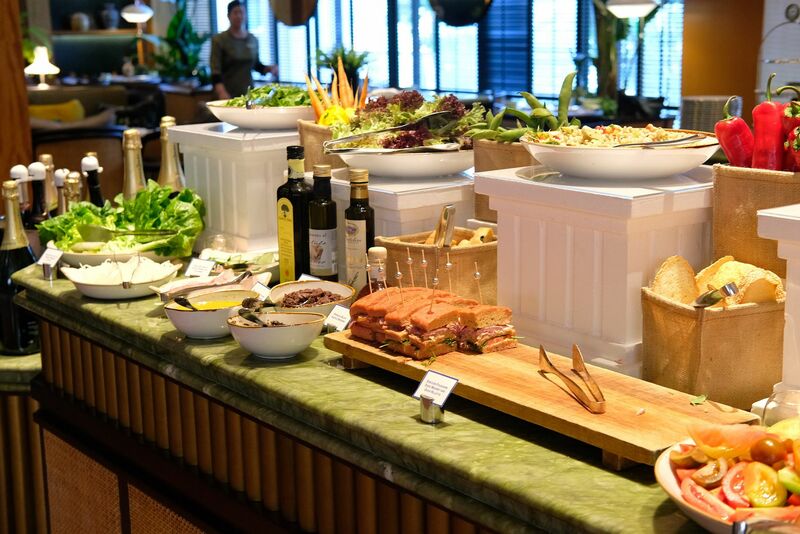 While the typical afternoon tea sets offer just the stated set, and drinks, Regent has made it their top priority to ensure that guests are very well taken care of with the inclusion of a mini buffet that features mini pastries, salads, sandwiches, Italian cheeses and other small bites. 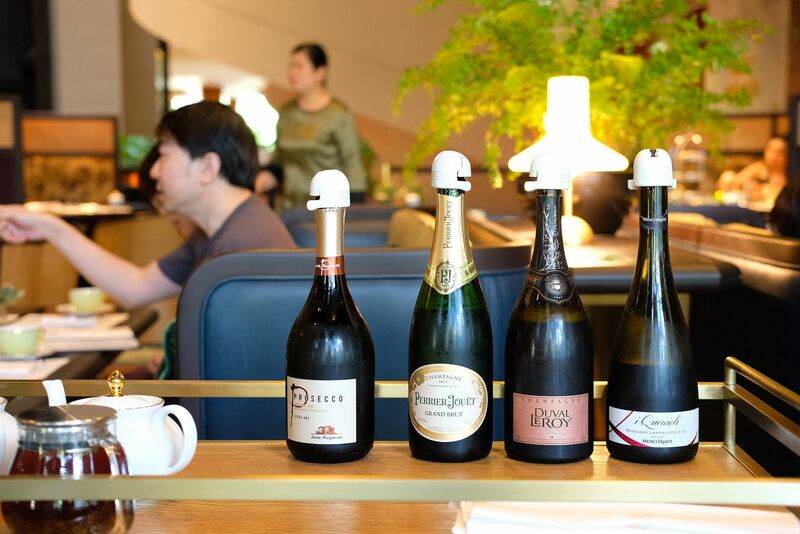 While you're at it, why not get their Bubbles Tasting Flight($25) too? 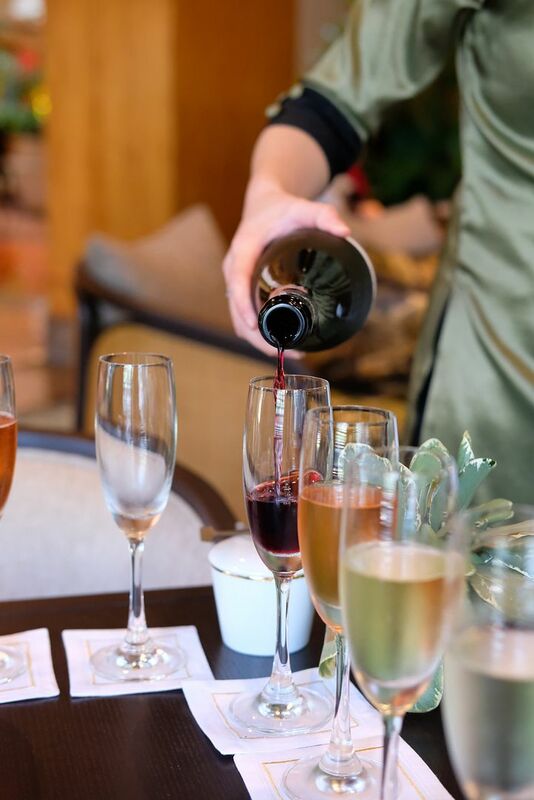 You get half a glass of 4 different types of champagne. The tea set comes with 2 beverages (tea or coffee). Their tea selection is pretty extensive and comprises really unique flavours. I'm not really a tea person so I went for the imperial earl grey. 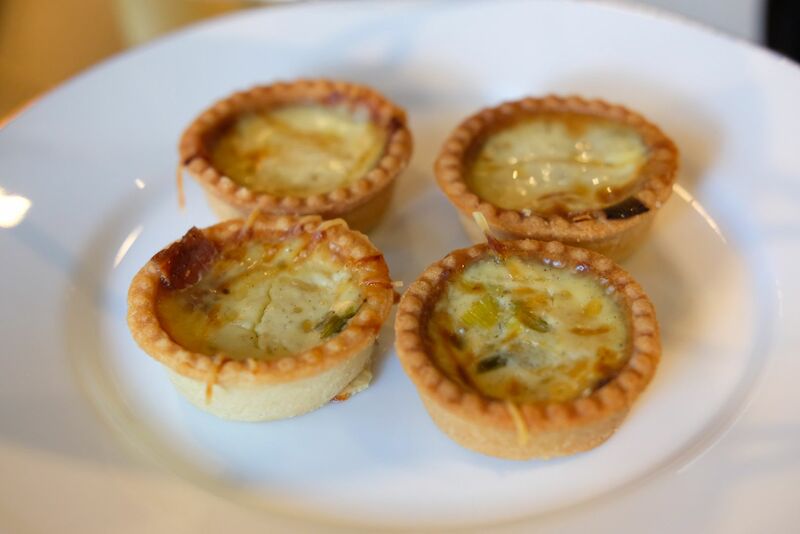 The sandwiches and quiches were pretty decent, but definitely not outstanding. The scones were really yummy. 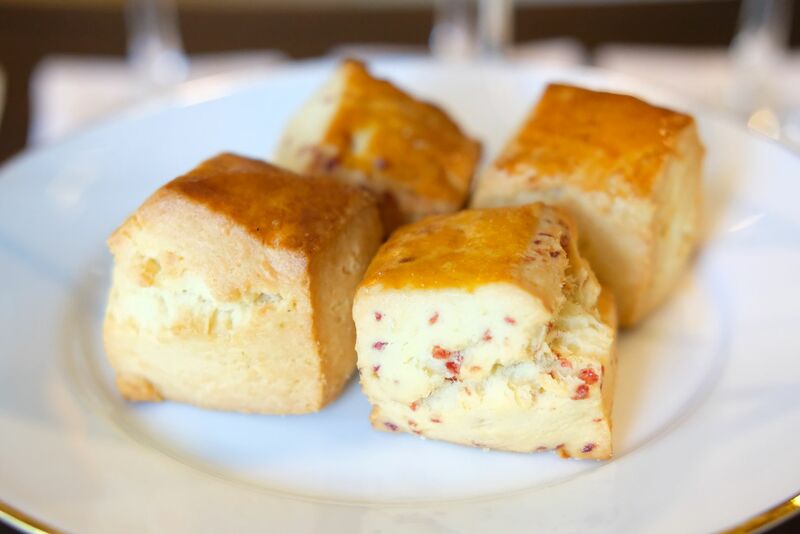 Break them apart, slather some light clotted cream, or yummy lemon curd on, and pop the bite-sized pieces into your mouth! 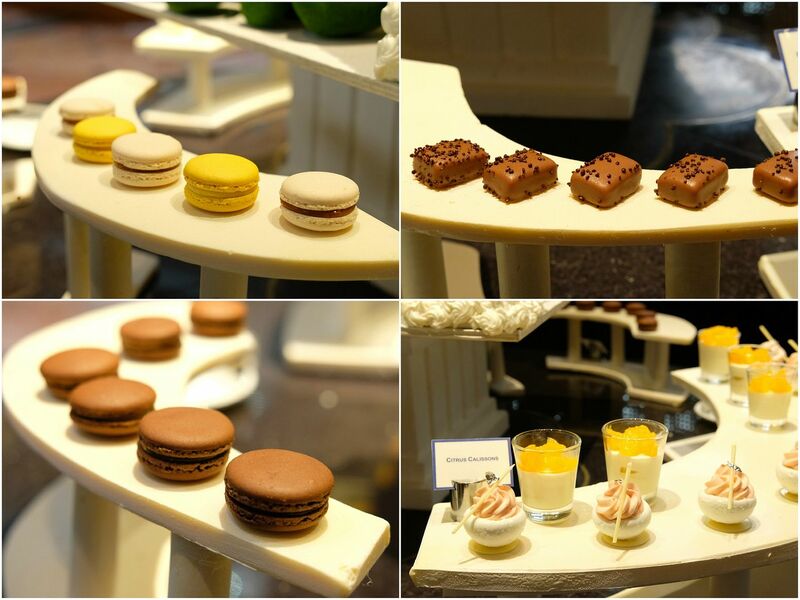 The macarons and pralines were super delightful! If I wasn't so full, I would have chomped down more of them. 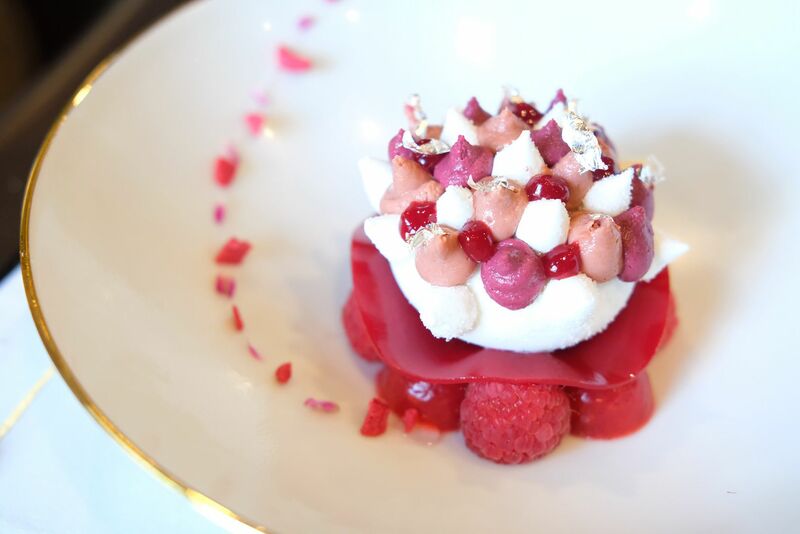 Each guest can also choose a plated dessert prepared à la minute by Culinary Olympics gold medalist Pastry Chef Alex Chong and his team. 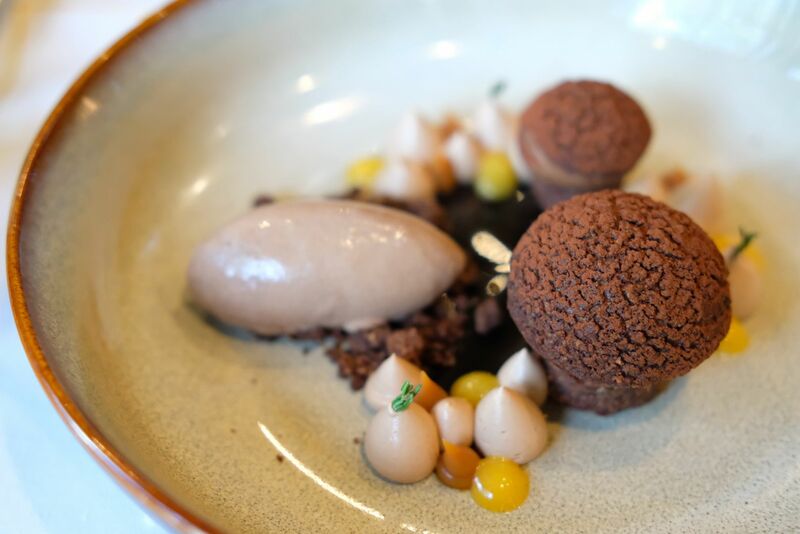 I was really certain that I was gonna go for the Golden Apple, but The Chocolate Forest appealed more to me when I was presented with the menu again. As I love the combination of chocolate and banana, it was difficult to say no to The Chocolate Forest. When it came to my second drink, I was tempted to get another pot of earl grey tea. I don't really have much faith in coffee prepared in a hotel setting. After much careful consideration, I decided to give the coffee a shot, because if it wasn't good, I still had my tea, even though it was cold. To my utmost surprise, the coffee came with latte art, and was robust and fragrant. It also wasn't over-pulled or acidic. I actually really enjoyed it. To be honest, I was expecting something that had come out of an automated coffee machine; something that I wouldn't drink a second sip of. 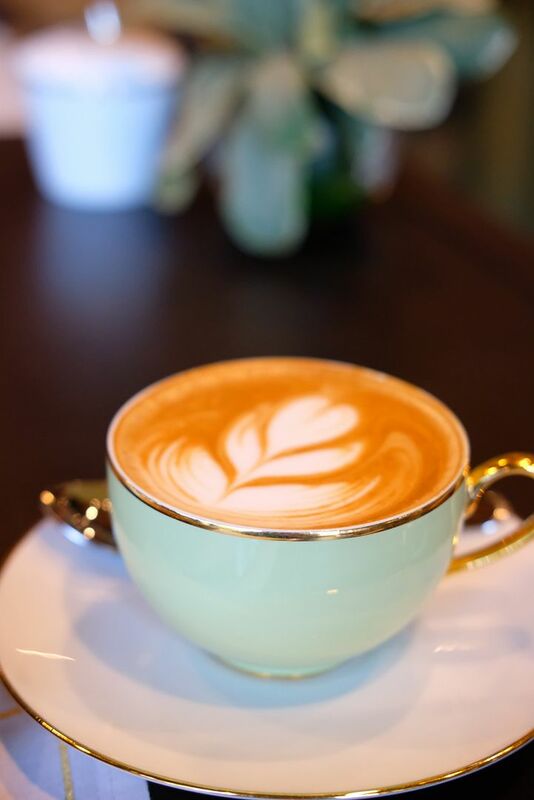 Kudos to Regent for serving up such great coffee! 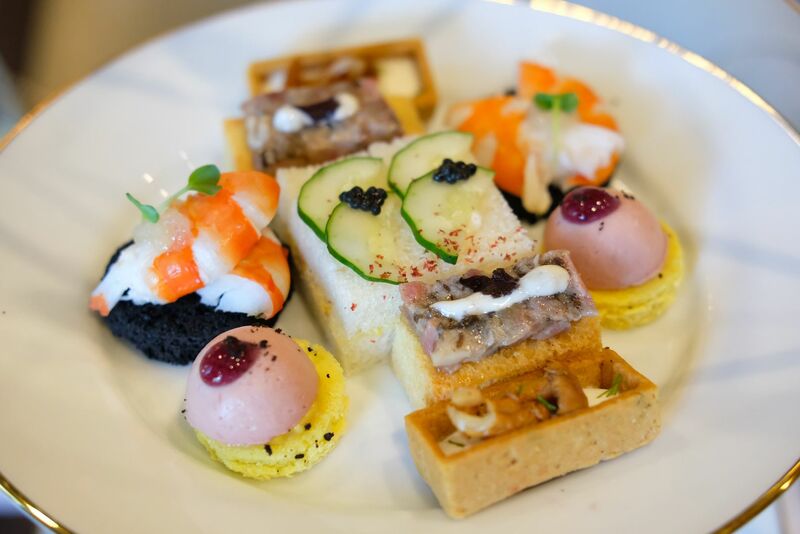 I thought that the afternoon tea at Regent Hotel was really value for money. You can kinda have both lunch and tea here, and stay full way past dinner. 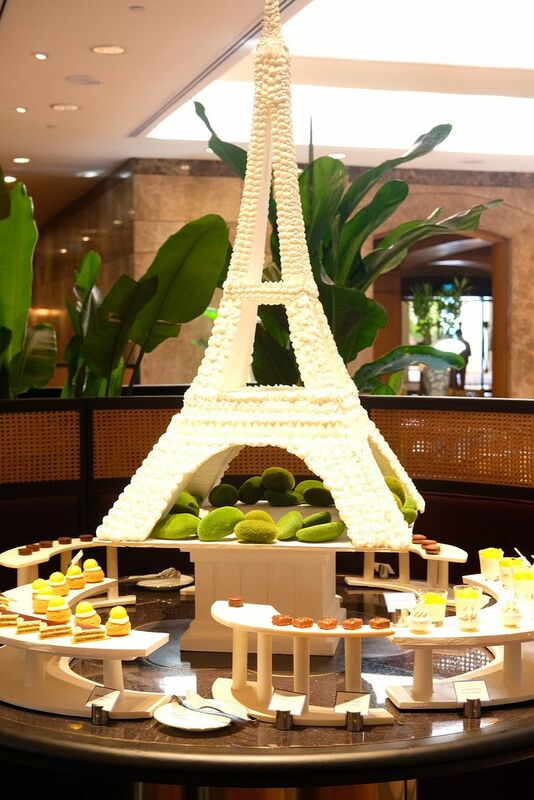 Service was impeccable, the food, especially the sweet treats, were great, and the ambience was lovely too. Best part? 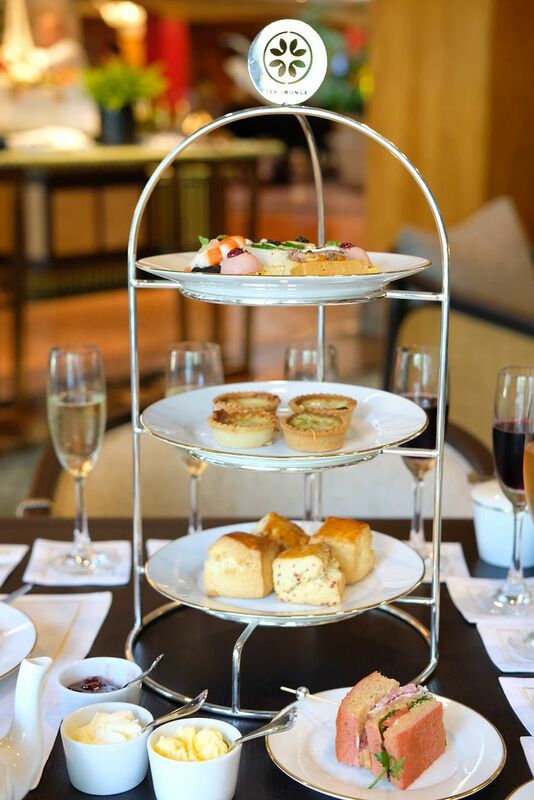 There's a really awesome promotion going on right now — enjoy 50% off your second weekday afternoon tea set with the code RSTL2ND when you make a reservation via Regent Singapore's website. So, what are you waiting for? Hey! would you be able to share if you could ask for refills on the tiered items? 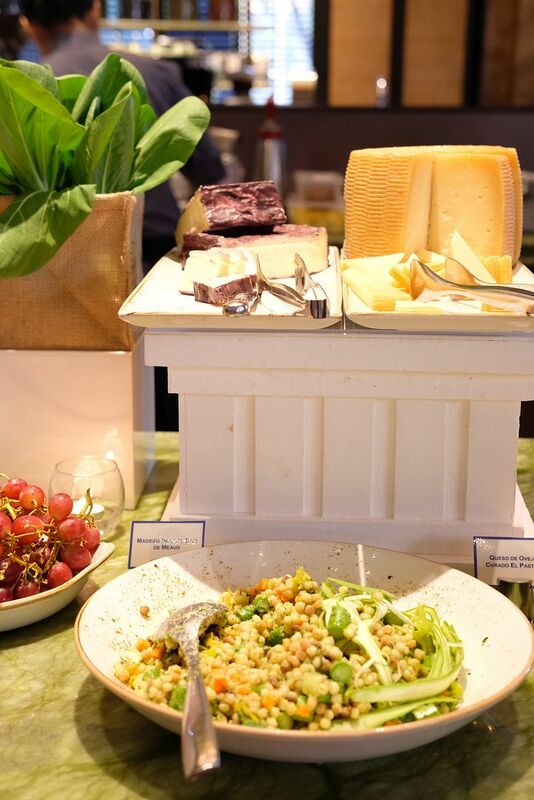 or were the items also served at the buffet line?